A ceramic fireplace aesthetically enriches the style of your home which, combined with their potent efficiency, makes it a beautiful alternative to the more common metal fireplaces. Made from tried and tested specially formulated clay, they won't crack or lose their appeal, nor will they rust, smoke or smell. The main advantage over metal fireplaces, however, is their phenomenal ability to heat and radiate into the room long after the fire has burned low. 19 Years of production has inspired a dedicated following of satisfied customers who are delighted with the function as well as the total ease of ownership – the only maintenance required is to brush out the fine ash once a month. The success of these trend setting heaters has spread from South Africa to appeal to discerning home owners in the USA, Germany, Australia and the UK. 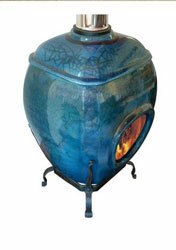 The secret to the efficiency of the Earthfire firepot lies in the thermal capacity of the claybody. The firepot continues to radiate heat into the room even when the fire has burned low and will stay hot for up to two hours after the fire has gone out. 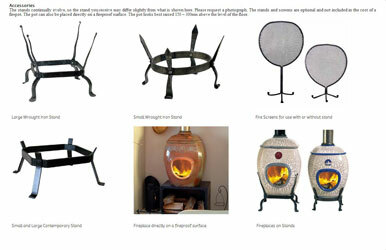 A metal fireplace has very little thermal capacity and quickly loses heat. 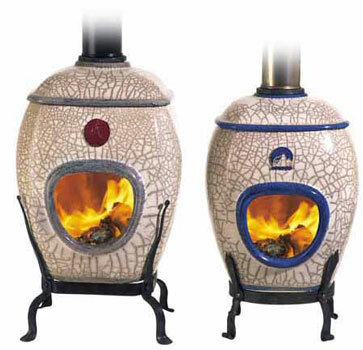 Make a large fire initially to best heat the entire firepot – this allows you to make the best possible use of the ceramic material’s ability to store and radiate thermal energy. 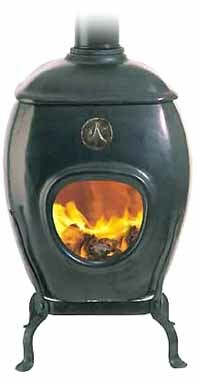 Once a comfortable ambient temperature is reached it is very easy to maintain, wood placed in the firepot combusts cleanly and burns down to a very fine ash. 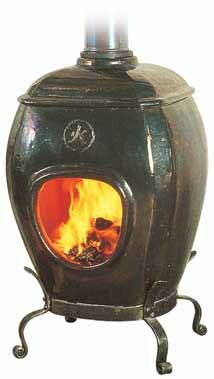 Dry wood optimizes the efficiency of the firepot and will also cause less harmful emission. Due to a combination of continuous draw and complete combustion of wood these fireplaces, unlike other open fires, do not smell at all. The only maintenance required is to brush out the fine ash every 15 to 20 fires. Properties of NilThermTM NilThermTM is a proprietary ceramic material with a coeffiecient of thermal expansion of 5×10-8. In short, this means that there is no differential thermal expansion of the ceramic material and therefore no cracking due to thermal shock. The material is also relatively robust and will withstand everyday use with ease. However, repeated impacts from roughly thrown logs can weaken the back wall. Use tongs when adding logs or ensure that there is no impact to the back when not using tongs. A pot already weakened by steam pressure will be much more fragile. See last paragraph. If our guidelines for installation are followed and allowance is made for lengthwise expansion of the chimney pipe when hot, the firepot will give a lifetime of trouble free service. Please note that the pipe can expand either upwards and break the rain seal, or downwards – if restricted at the ceiling – and could put pressure on the firepot. This pressure could cause the lid or pot to weaken. When hot, water has absolutely no effect on the firepot, in fact, during the Raku glazing process water is routinely poured over the pots while still at 600oC. 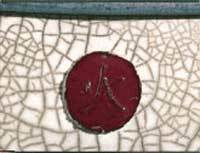 However the ceramic material is porous and water that enters the pot when cold, soaks into the ash and then into the ceramic itself. When the heat from a fire causes this water to turn into steam while still inside the clay, the resultant expansion of the steam will cause hairline damage at the ash line initially. If not attended to, it could lead to the weakening of the entire structure. Any evidence of water, e.g. runmarks on the outside of the chimney, water marks on the ceiling or dampness of the ash when cold, should be attended to immediately. 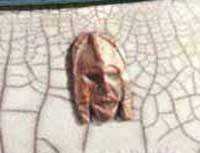 Choose between an African Mask and a Japanese Medallion. If neither takes your fancy, leave it out completely.